Kavanagh Recycling and Recovery specialises in IT Asset Disposal, Computer Recycling, WEEE Recycling and Secure Data Destruction from your office site. The company, from its base in South Dublin, can provide enterprise with a safe, secure, compliant solution for the management of all types of Waste from Electrical and Electronic Equipment (WEEE). Kavanagh Recycling and Recovery provides offers a comprehensive Data Destruction service. Kavanagh Recycling and Recovery provides a comprehensive Photocopier Recycling service. 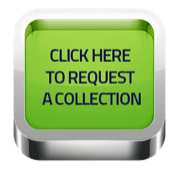 This includes collection and removal of even the largest machines from your premises. Kavanagh Recycling and Recovery provides a reliables Ink Cartridge recycling service. Kavanagh Recycling and Recovery provides a Blue Bin Service, where a large Blue 4 Wheeled Plastic Bin is supplied for all your IT Asset Disposal, Computer Recycling, and WEEE Recycling needs. These bins can be left with you indefinitely and collected monthly (rental charged) or on a one off basis. Kavanagh Recycling and Recovery provides a total Printer Installation, Deployment and Technical (IDT) Service. Kavanagh Recycling and Recovery provides a complete Data Centre Decommissioning service. Kavanagh Recycling and Recovery provides hospitals, medical clinics and manufacturers with a safe, secure, compliant solution for the management of all types of end of life Electronic Equipment used within the medical and manufacturing sectors. We believe that there's no way around it, once your old electronic equipment is decommissioned it changes from an asset to liability. Our goal is to make sure that once the asset is decommissioned you never have to worry about it again from either a data security or an environmental perspective. Kavanagh Recycling and Recovery Limited offers a comprehensive Computer and IT Recycling Service coupled with a permanent Data Destruction service and a Collection service where required. Computers, Desktops, Towers, Servers, Laptops, Tablets. All Cables (Computer, Power, Network etc), Keyboards & Mice. Modems, Patch Panels, Routers, Switches, Hubs, WiFi, etc. UPS Battery Back Up Unit. Mobile and Smart Phones (GSM & 3G). Printers, Faxes, Scanners, Shredders, Binders, Laminators, Office Fans. Telephones (DECT, PABX, Desk Sets), Video, DVD Players, Projectors. Please note that a small charge applies to all collections - please call for details. This can be waived in the event of large quantities. NOTE: Equipment, such as IT, computers, etc does not need to be in working order. Kavanagh Recycling and Recovery Limited is registered in Ireland with limited liability. The company registration number is 517620. The company is registered for VAT with the revenue commissioners - the VAT number is IE 9842861G.